Find out which model is best for you! 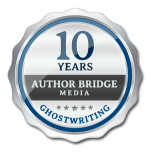 You deserve a quality book that you can be proud of, a book that gives you credibility, revenue and raving fans! Find out which publishing model best supports your goals.